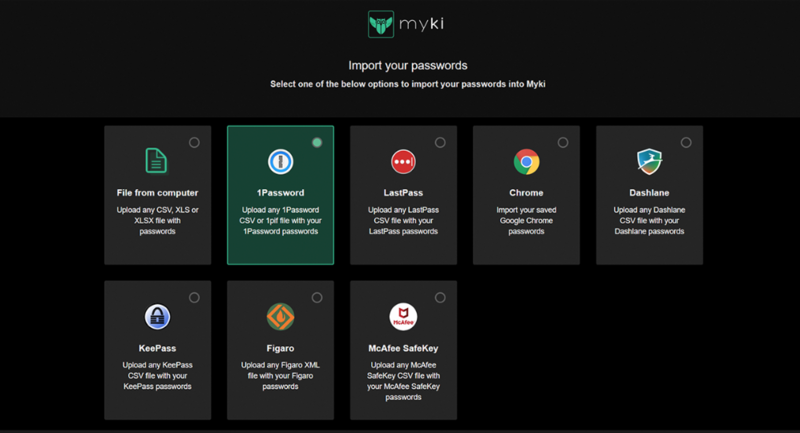 To import your passwords, Payment cards and secure notes from your previous password manager using Myki, make sure you have the Myki Browser Extension installed and paired to your Myki app. If you don't know how, here is how to do it. 2) Select “Passwords", "Payments cards" or "Secure Notes". 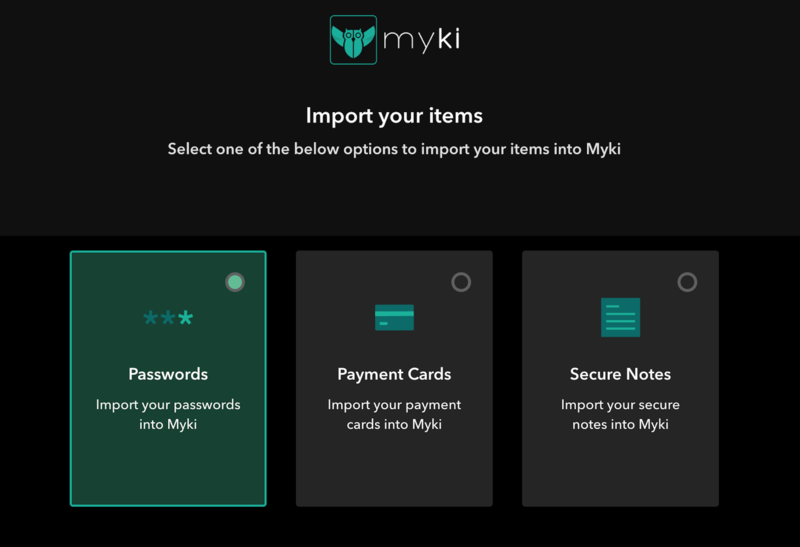 3) Choose the service you’d like to import from. 4. To finalize the upload, simply drag the previously exported CSV file into the box. 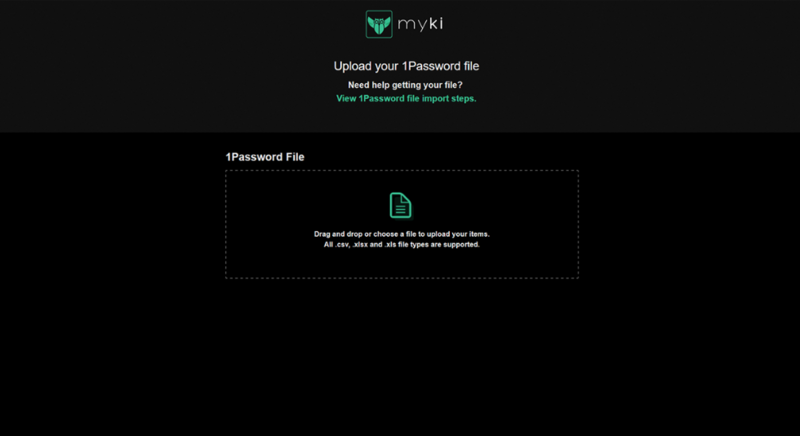 Here, you will be able to download a CSV template of the passwords, secure notes and payment cards. 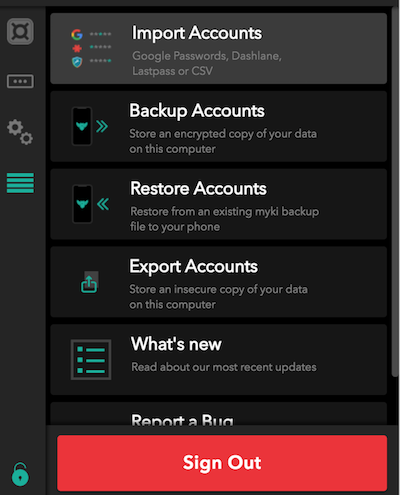 Don’t forget to delete the CSV file you exported from your previous password manager on your computer!